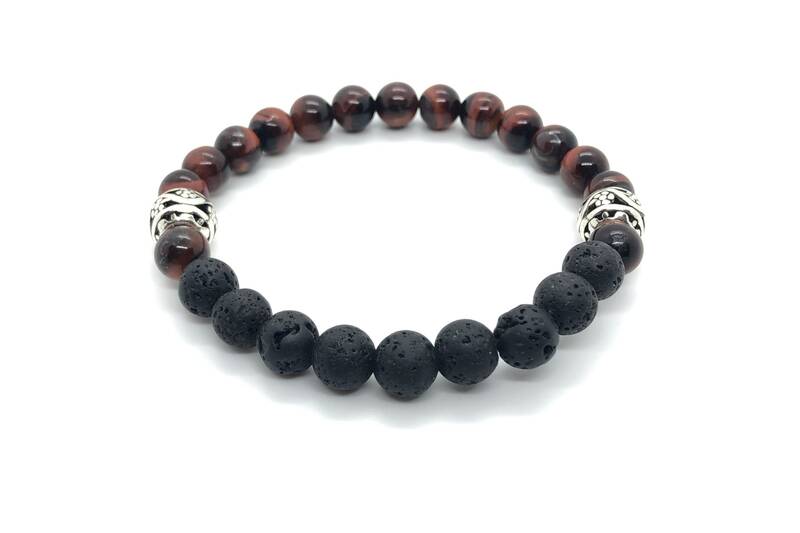 Bracelet "XANNA STONE MEN (16)"
Men's bracelet with ox-eye beads and volcanic lava (8mm) with silver bead. The term was first used by Francesco Serao to refer to the expulsion of magma in the eruption of Vesuvius that occurred between May 14 and June 4, 1737.1. In Greek mythology, Etna was the volcano inside which were located the forges of Hephaestus, which worked in the company of Cyclops and Giants. The monstrous typhoon lay beneath this mountain, causing frequent earthquakes and eruptions of smoke and lava. 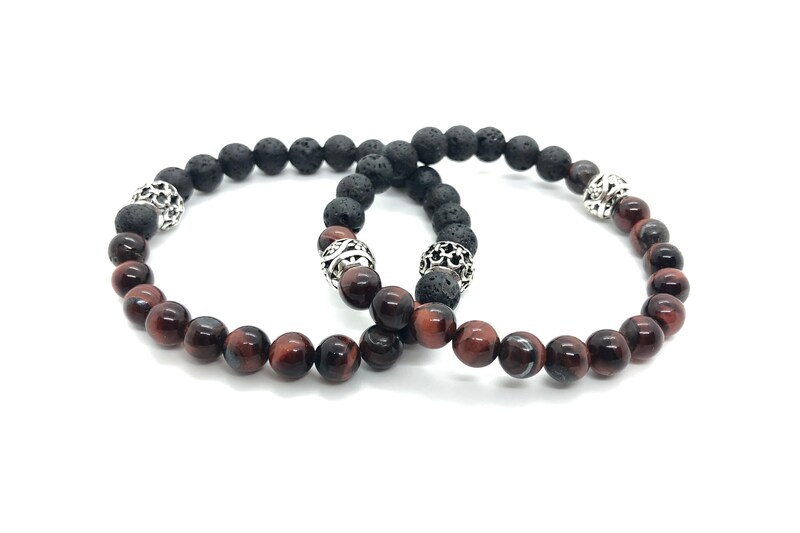 Lava is said to help liberate oppressed feelings, provide vitality and sharpen the instinct for survival, reinforce feelings of security and trust. Mentally eliminates tensions, black minerals provide security and stability and keeps mental deviations away and concentrates our attention on the essentials.